Need some extra tips for fast weight loss? 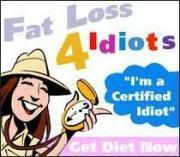 Here are the best weight loss tips to help you to cheat your way to quick weight loss. Try out these scientifically proven diet and exercise tips to see if they will work for you. So, how to increase your metabolism with diet and exercise? Focus on getting 5 to 9 fruit and vegetables servings per day. 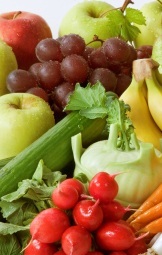 Fruits and vegetables are packed with vitamins, minerals and disease preventing phytochemicals. They are perfect metabolism boosting foods as they are full of water and fiber to fill up space in the stomach with very little calories. Also, fibrous foods take longer to chew giving us a sense of fullness earlier in the meal. Have an apple or vegetable salad before every meal to leave less room for higher calorie foods that can come later in the meal and keep the overall calories of the meal down. 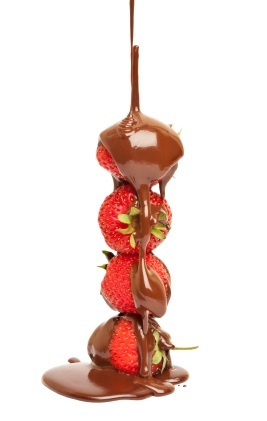 Be careful about salad dressing, it can add unwanted calories; try using as dressing: hummus, salsa or black bean dip. Eating 5 to 6 times a day every 3 hours will help to control your appetite and maintain your energy. Keep your portions small, don’t overeat or skip meals. Skipping meals affects our metabolism negatively – our body thinks that there is a shortage of food and will need to store body fat for emergencies. When we eat often, our digestive system is constantly working digesting food and that means burning off calories. Boost your metabolism from the morning with the most important meal of the day – breakfast, and your body will burn calories for the rest of the day. Eat a low in saturated fat, sensible breakfast. 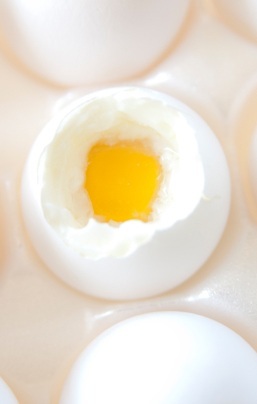 A few healthy breakfast ideas: eggs, porridge and whole grain cereals. Always do your cardio excises such as aerobics, running, cycling, walking early in the morning before breakfast. It is the best time to exercise as your body has more energy first thing in the morning compared to how you feel later in the day after lunch. You can burn up to 3 times as much fat if you work out before breakfast. That is because your blood sugar is low before breakfast and the energy for exercising will be used from fat stored, instead of the foods you have just eaten. Morning workouts increase the metabolism naturally and you will keep burning calories for hours throughout the day. Get it out of the way early and you will be less likely to skip it later when you are tired. The amount of muscle you have in your body determines your metabolic rate. It is that simple – the more muscle you gain the more fat you will burn. Muscle will burn calories around the clock just to maintain itself. For every extra pound of muscle gained, you will burn an additional 50 calories daily. Regular resistance training will boost your basal metabolic rate (BMR – energy expenditure at rest) by 15%. Do your weight training every other day with a day of rest in between. Do it in the evening so you will activate the large muscles in your body to burn fat for many hours into the night. The workout should consist of squats, bench presses, dead lifts, lunges, etc. The research from the University of Illinois reported that eating high-quality protein can help to maintain muscle mass and reduce body fat during weight loss. This is because leucine, a dietary amino acid, slows the degradation of muscle tissue by stimulating muscle protein synthesis, so you only lose the fat and not the muscle tissue. Keeping the muscle during weight loss is very important as it helps to burn more calories. On the other hand protein can distress your kidney, drain calcium from the bones and keep you away from eating other nutritious foods in your diet. 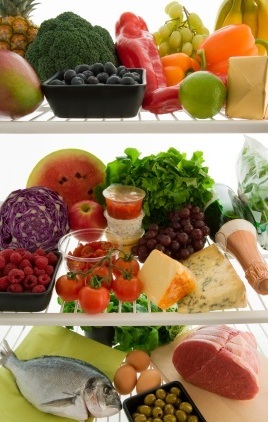 So, make sure that you eat not only protein, but also carbohydrates and fats as a part of your healthy balanced diet. Best Weight Loss Tips: Drink a Lot! Dehydration slows your metabolism down and stops fat burning. After drinking 17 oz. of water the rate of calorie burning increases by 30%. The boost occurs 10 minutes after water consumption and reaches its peak after 30 - 40 min. 40% of the increased metabolism is due to the body`s attempt to heat the water. Also, our brain tells us that we need water by giving us a hungry feeling, so we eat instead of drinking. Drink a lot of water to fill your stomach up and food cravings will be less likely. New research has shown that drinking 2 cups of water right before eating a meal will make you full and you will eat 75 – 90 calories less during the meal. Drink at least 8 glasses of water daily. Avoid processed and convenience food such as fast foods. They are high in sodium and fat. You can lose weight easily by packing a homemade lunch for work instead of eating out. Always check the nutrition label on the packaging if you do go for packed food. A product branded fat free is not always low in calories, also a low-sugar or low-carb product does not mean it is low in calories or fat. When you are stressed or tired it is very easy to reach for junk foods. Stock your kitchen with healthy convenience foods that you can cook within 5 or 10 minutes. 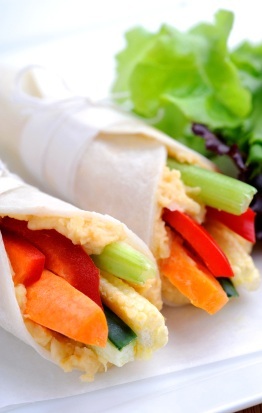 Vegetables, canned tuna and beans, grilled chicken breast, wholegrain pita or wraps will help you make a meal in minutes. Best Weight Loss Tips: Time to Stop Eating! Stop eating 3 hours before going to sleep. Your last meal should consist of lean protein and fibrous carbs, avoid starchy carbs (potatoes, pasta, etc.). To minimize hunger at night eat frequent small meals with 3 hour intervals throughout the day. Every time we eat, our metabolism speeds up a bit, but when we eat late at night this effect is lost. Also late night eating can inhibit your fat burning abilities for the next day. As when you are still full from the night before, you are more likely to skip the breakfast and lose all metabolism boosting benefits you get from eating a morning meal. If you go without food from 8pm to 7am, your body will start burning fat from 1am until you wake up. Keeping a food diary can be very motivating, though it takes a while to get used to, but it’s worth it. 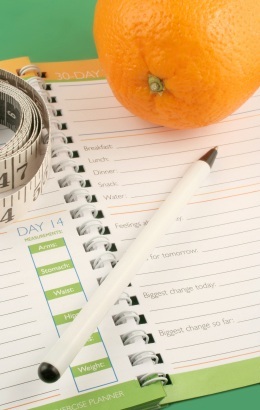 The diary will raise your awareness of your eating, activity patterns and also the problem areas. It will give you a basis for setting goals, plan the changes and will enable you to track the changes you’ve made over time. Be honest with yourself, write down all you eat and drink each day, include the activities which last for more than 10 min. People who lost weight successfully kept track of what they eat and the exercise they did. To help you to count “calories in” use our calories in food resources; to count “calories out” use our calorie burn calculator. Research has proven that treating yourself during a diet can help you to lose more weight, as it helps to eliminate binging, keeps you motivated and prevents the metabolic rate from slowing down. Set a large long term target and then break it down into shorter more achievable targets, reward yourself every time you achieve each target. The reward can be a cup of ice cream, a manicure or a full body massage. In order to lose weight, people tend to stick to the same diet menu repeating it over and over again, as a result our body recognizes the same foods and decreases the amount of work our metabolism has to do. Satisfy your craving 1 or 2 times a week, but watch out for the quantity. For more great diet and exercise tips on losing weight for good, read a worldwide bestseller “Burn the Fat Feed the Muscle” by fitness expert Tom Venuto. His professional nutrition and exercise recommendations will show you how to increase your metabolism so you can make your weight loss easier and quicker.